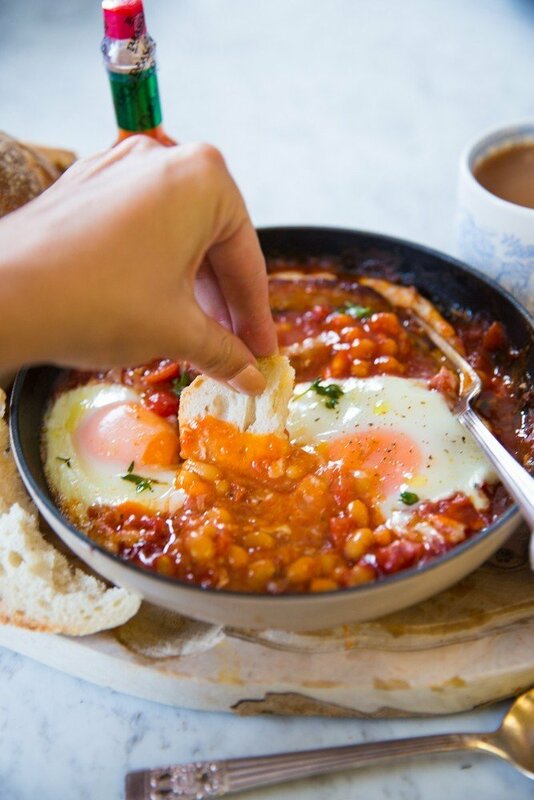 If a Moroccan Shakshuka had a passionate affair with a Full English, this would be the resulting love child. 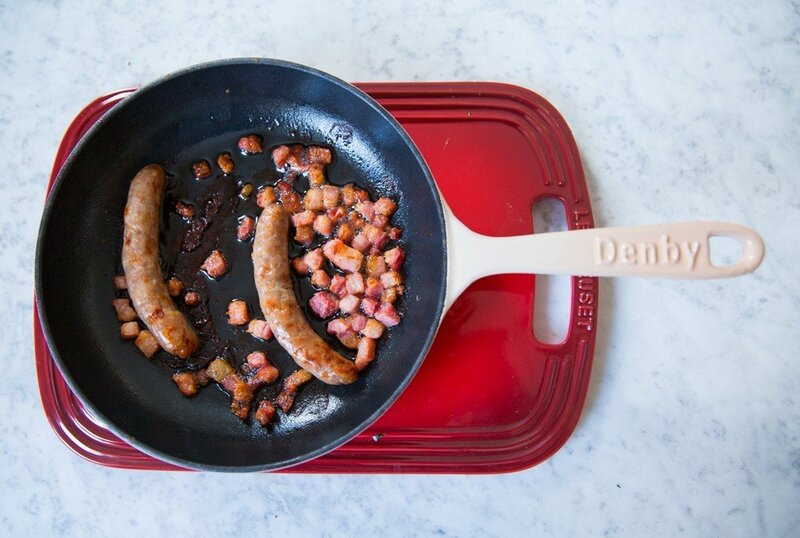 Everything you love from both sides, all coming together in one glorious pan. Eggs, bacon, sausages, beans, tomato, with none of the frying, none of the hob juggling and barely any of the washing up. Too good to be good? Oh ye of little faith! 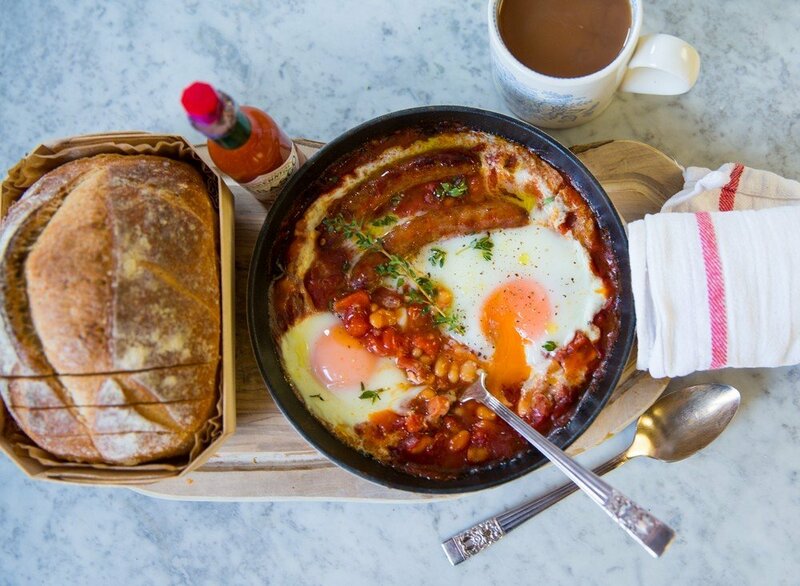 Trust me, this’ll be the best breakfast you’ve had all year. Optional: Hot sauce, bread, ketchup. Pre-heat your oven to 18oC/350F. Pop your sausages in. Take them out after 10mins, add your bacon. Sprinkle with chilli and paprika. Bake for 10-15mins or until the white is fully cooked. 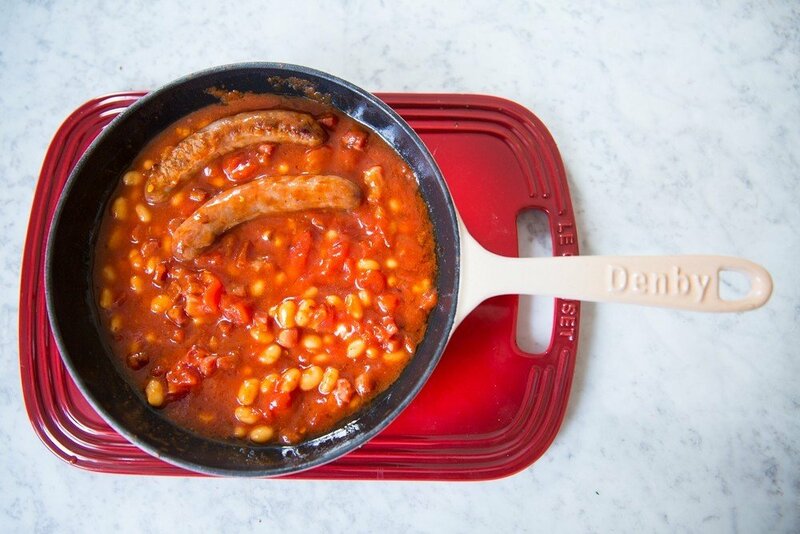 Crack over a dusting of pepper, snow with herbs & serve with a cuppa! 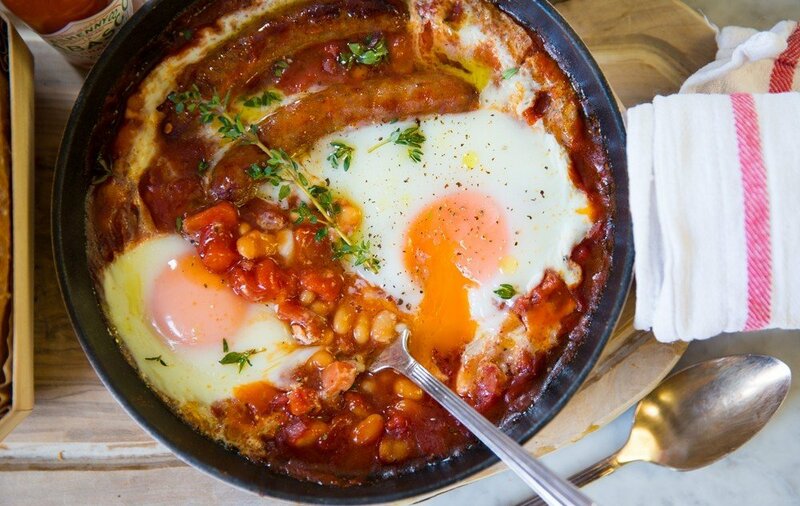 Crack into those runny yolks, dig into those sausages and mop up that cheeky sauce. Quick, easy, stuffed with antioxidants, fibre, B vitamins (brain food) and protein. 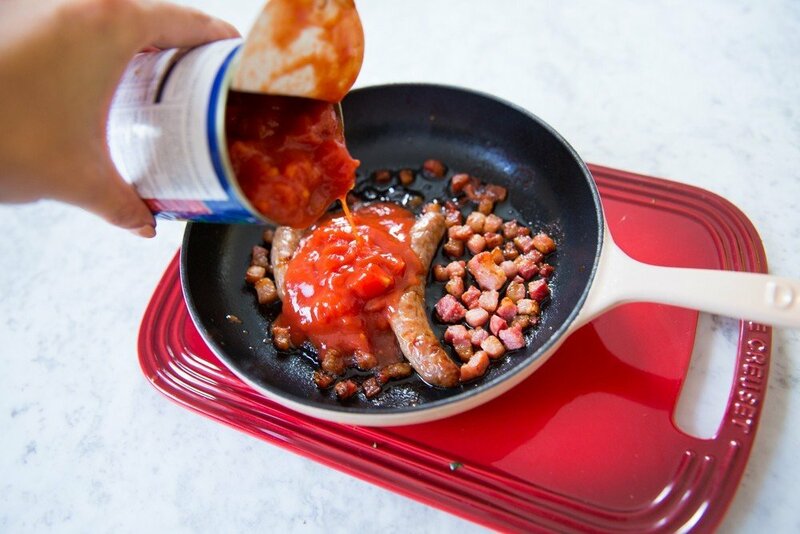 You’ll never bother with a fry-up again!